(All orders, excluding hampers, are packaged in our attractive white cartons with frozen ice-gel packs to preserve the cheeses temperatures, and paper straw for protection). We aim to process and ship all orders within 2 working days subject to stock availability, and no longer than 5 working days. You will be notified by email the day your order is shipped. All deliveries are sent overnight from us on a guaranteed next day delivery service. In most cases a signature is not required to acknowledge delivery. In order to give your cheese the best chance of getting to you in optimum condition we highly recommend adding a note in the box provided in the checkout of a suitable place to leave the order if you are not in or an alternative delivery address such as a nearby neighbour. NB this must be in the same street or within the immediate vicinity since a delivery to an extra address will be liable to an extra fee. Our delivery times are for guidance and are not a guarantee. We cannot take responsibility for length of delivery time once an item is dispatched from us to our carrier. If you would like to delay delivery beyond 5 working days after you order then choose an ideal delivery date in the box provided in the Checkout. We will ship the order the day before this date on a 24 hour courier service. If you select a delivery date please bear in mind that while we will always ship an order the day before this date we use a third party courier and delays can happen. If your order is for an event such as a birthday, a party or a wedding we would always recommend allowing a day or so leeway, just in case. If you select Saturday delivery we will attempt to ship your order by the first Saturday however if it cannot be sent due to stock or any other reason, we will ship the order in time for the following Saturday. 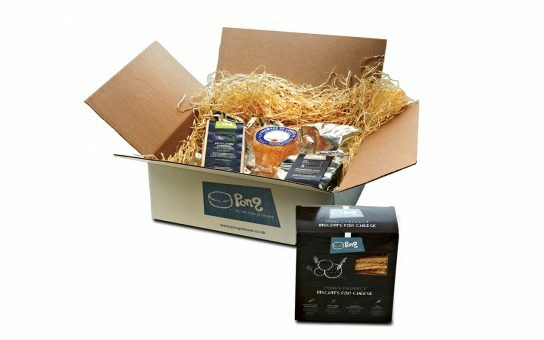 If your order is a gift we will send it as quickly as possible and therefore, in the rare event of any specific cheese stock shortage we may substitute a cheese with a like for like replacement so as not to delay the shipment. Delivery is only working days and Saturdays therefore we ship orders from Monday to Friday to arrive Tuesday to Saturday. We do not deliver ON Mondays. Please note that certain parts of the British Isles including the Islands and the Scottish Highlands are harder to get to and therefore increase the chance of longer delivery times. For this reason Saturday deliveries and choosing a delivery date are not available to these areas. We are now delivering to INTERNATIONAL destinations. We do not offer free delivery on any international order and Saturday delivery is NOT available. We will ship an international order as per the same terms and conditions of a domestic delivery however the delivery times are on top of the shipping time. All our international deliveries are sent with either DHL or Parcelforce Worldwide. Once your item is shipped you will be told which carrier has been chosen for your delivery.